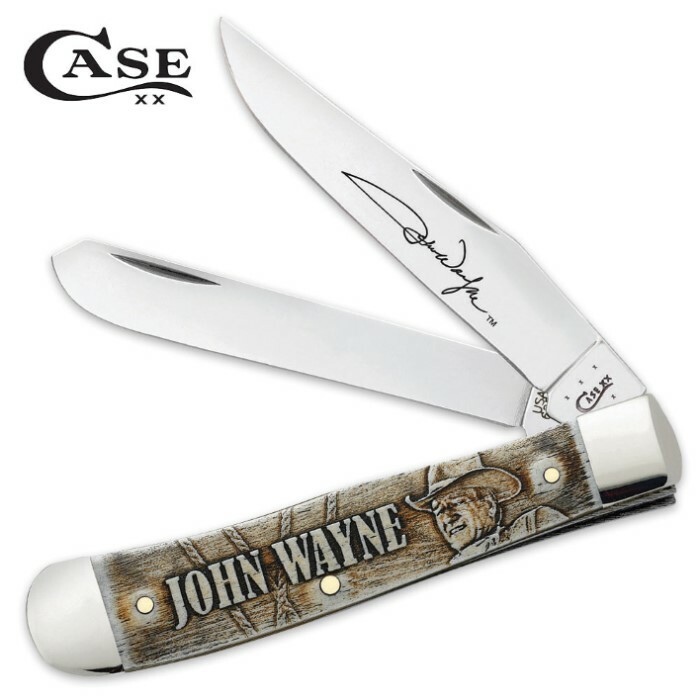 Case John Wayne Smooth Natural Bone Trapper | BUDK.com - Knives & Swords At The Lowest Prices! A beautiful tribute to The Duke, the John Wayne Smooth Natural Bone Trapper, presented by, Case will make any collector’s day. This is truly a phenomenal gift item! The folding pocket knife has Tru-Sharp surgical, embellished steel clip and spey blades. The handle is embellished with John Wayne artwork and is of smooth natural bone. The knife is 4 1/8” closed.